Read below to see if Brisbane Angels is right for you. If your company is based in Brisbane Queensland, matches BA’s early stage and industry focus, and is seeking to raise from between $50,000 and $500,000, then we should talk. We have the ability to syndicate deals that require more capital. We are looking for companies that have an established proof of concept and are poised for growth. Are you ready to get started? It’s simple! Submit a Business Plan by clicking the icon below. Brisbane Angels seeks early stage investments. If you are raising $50,000 to $500,000 we may be the right fund source for you. Click to expand and read more. We expect you to explain the relevant experience and domain expertise of your team. If the team is incomplete, we expect you to recognize who is needed to round out the team. BA defines technology broadly in many industries, including Hardware, Software, Digital Marketing, Consumer Products and Services, Financial Services, IT Services, Healthcare Services, Food & Beverage, BioTechnology. Regardless of industry, a successful applicant must be able to demonstrate market validation of its technology. Ideally, the company will have revenue and a strong sales pipeline. You must demonstrate that you can achieve at least a 25% market share in a well-defined niche (i.e., show how you can sell cost-effectively into that niche). The niche can be within an existing market, or it can be a new niche. Grand visions of a multi-billion dollar market is not attractive unless you can convincingly show how you will dominate that market. With few rare exceptions such as eMachines, dominating a billion-dollar market is usually not possible; and in eMachine’s case, we doubt many would have believed that they could become the #3 PC company in less than one year. This must be in either a developing market, or in an existing market. You must present a credible plan for achieving that growth, not a Chinese Glove Syndrome (“there are over a billion Chinese, we will sell 1% of them a pair of gloves at $20/pair, which gives us revenues of $200 million”) without supporting data to show how you would sell them. Some examples: a “blocking patent” (that can keep out competition); an easy dial number (or vanity number) (eg 1-800-WEDDING); a domain name (e.g., buy.com); “first-to-scale” advantage (i.e., show you already are the first company to achieve some scale in a new niche). Because BA members assume a great deal of risk by investing in early stage companies, applicants should be able to make a compelling case for a 10x or better return on investment within 5 years. Investments that are expected to require no more funding than the current round are especially valued. Screening is an important part of the BA funding experience. Each year we have about 150 companies apply on our website for BA funding. Approximately 30 percent of these companies make it to the screening process and 5 percent make it into due diligence. 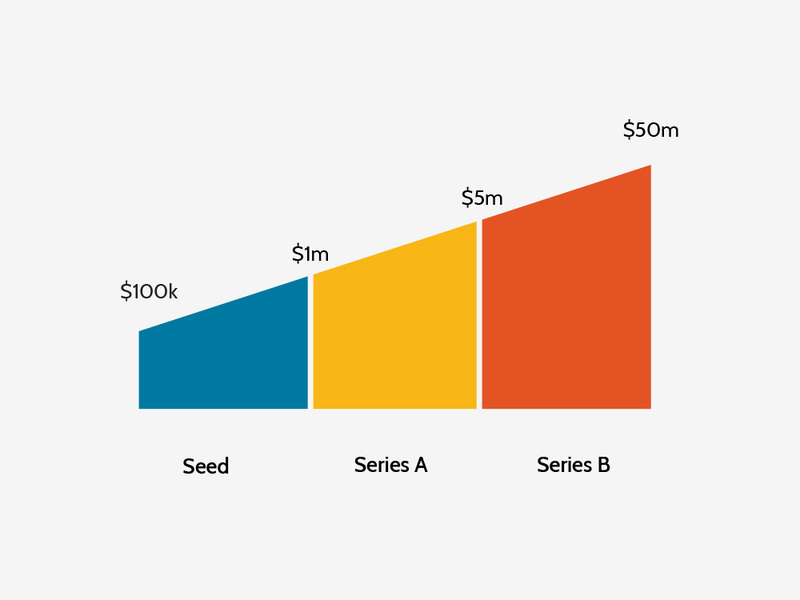 Although each year varies, we typically fund between ten and twenty new ventures per year. The step in entering the BA funding process is our online application. This process includes filling out an application with an overview of your company, including a summary of your financials. You will also upload an investor PowerPoint presentation (Pitch Deck). BA staff industry-specific investor panels performs an initial screening of the application to ensure it is within our scope of interest. If you pass the initial review stage, you will be invited to present at a pre-screening. Each panel’s pre-screening process varies, but the general concept is an elevator pitch of 10 minutes, followed by 20 minutes of Q&A. the pre-screen presentation is given to a small group of BA members who have domain expertise in your technology. The purpose of this pre-screening meeting is to determine if you are ready to present to the larger group, and give you constructive feedback to improve your presentation. You’ll receive feedback, and if you pass the pre-screen, you’ll be invited to present at a BA Members meeting screening session. A due diligence team is formed based on the number of interested members who signed up during the screening. A deal lead steps forward to co-ordinate the due diligence activities. Due diligence consists of verifying representations by the entrepreneur, speaking with customers, reviewing agreements and patents (if any), checking references, backgrounds, etc. The results of the due diligence process are posted on the BA GUST portal, and if the results are positive, the venture moves forward. Funding occurs after there has been enough interest generated through the BA Group via the GUST portal and via the deal lead. BA admin will then generate documentation for interested members to invest.